yay! 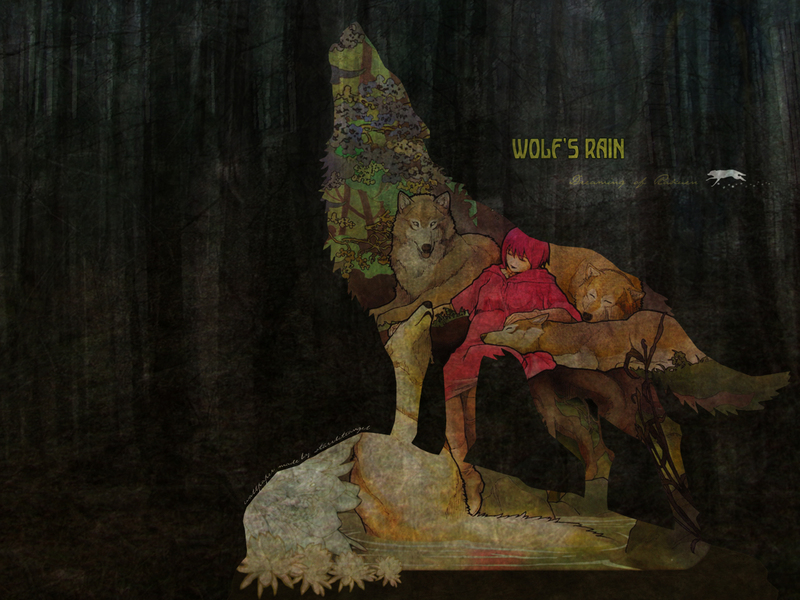 my first wolf's rain wallpaper! Well, this is actually my userpage layout right now. Oddly, the userpage layout came before the wallpaper - but I decided that I put so much work into the image, well, why not make it a wallpaper? I know the background seems drastically dark and gloomy compared to the image in the howling wolf, but I wanted the background to correspond to the outline of the howling wolf. Basically, it shows that no matter how dark and gloomy the outside world is (the bg and the howling woods is the dark and gloomy outside world), the wolves will always be dreaming of rakuen in their hearts. well first of all this startled me.. hehe.. cuz your userpage is very nice now.. yeah, it's kinda odd for you to make one dark wallpaper, but i like this uniqueness.. like...it feels like something tribal.. you know.. indian amercians.. lol. that's what i feel. and i've never seen one wallpaper yet with a kindof feel like this. why don't you put this in your most improved gallery at CL? i recommend so.. :p +fav! FAV ! Starrliteangel - sama ! There's something deceptively simple about this. It looks so easy to accomplish, but you can see the fine craftsmanship & originality shine through. mmm... let me see. "honto kirei"
thanks to Starr-dono, this day i will finish to see Wolf's Rain. sugoi there, is actually nice to see this coming from you, since is just stunning, first let me tell you that the texture you used is not only an unusual one but is also a very unique an attracting to the eye, the bg that is a kind of forest or something obviously gives the idea of nature an animals, so the wolfs here play the perfect role. jaja maybe is just me I know...but that white wolf running ....it doesn't suit too much since the main scan are already wolfs.....well is not big deal, is a gorgeous wallpaper, and you deserve my fav. Oooh. Nice and original. I have nothing to say but good job! The wall is very good...very irregular. as I said before: Very nice work! I am glad you decided to make this wallpaper! Amazing wallie, very original and well done. Amazing picture. I love it in some many ways it's hard to describe.